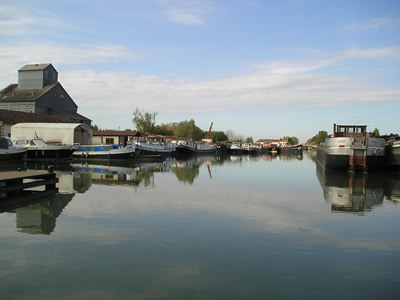 The port of Saint Jean de Losne is one of the biggest boat hire bases on the Saone river. With a large choice of boats and different routes available this is a popular starting point for boating fans. The beginning or the end of the Burgundy canal, depending on your cruise itinerary. You should find everything you need. From dry dock, barge construction to food supplies. This is one of the capitals for the barging world, a place where you can find any type of engine part for any engine, from Boudin to Volvo. There are some of the most skilled welders available, mechanics who know Leyand, Perkins and Scania motors. Skillfully milled prop-shafts and propellers. The local cafes are still occupied by bargees that are retired or waiting for another voyage, or maybe the river Soône is in flood and the level is too high for navigation. The town of Saint Jean is a very active place, but there always remains a sad side, it is a place of passage, transition, if you stay here for a long period it is generally because there is something wrong with your barge or boat. 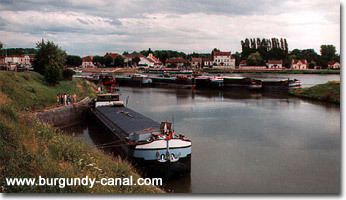 Bargees blockading the canal entrance, in an attempt to keep the commercial barge industry alive, as the French government financially favors the Road and Rail in 1986. Expert in barges and expert barge brooker. 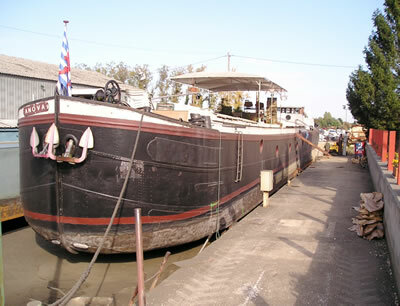 Dry dock, for large barges up to 40 metres. Small craft or outboard engine, crane, rope, general boating equipment. If you are on the river and trying to join the canal be careful you could miss the entrance to the Burgundy Canal. 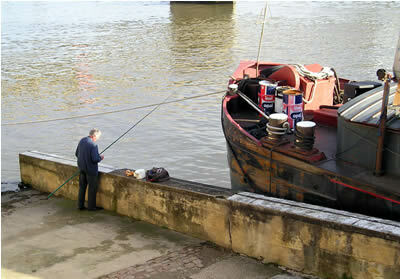 Have all your papers ready, the lock keeper may request them. If you are leaving the canal to cruise on the river, inform yourself about the current before hand. Take the opportunity to fill up with fuel at the AviSaône barge.